A recent Investopia post, U.S. Or Canada: Which Country Is Best To Call Home?, con­sid­ered a vari­ety of fac­tors, includ­ing aver­age salaries, cost of food and other daily life items, health care, post-​​secondary edu­ca­tion, and parental leave. Average salaries are sim­i­lar in the two countries. General cost of liv­ing is some­what higher in Canada. 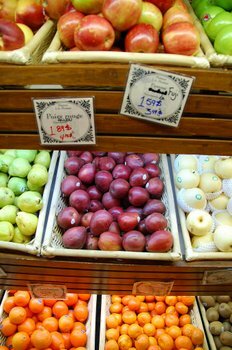 Food costs, in par­tic­u­lar, are higher in Canada. Cost of post-​​secondary edu­ca­tion is much lower in Canada. Cost of health care is much higher in the U.S., and health insur­ance is not uni­ver­sally available. Canada has much more gen­er­ous social ser­vices, includ­ing its parental leave policy. The sum­mary? In the long run, fam­i­lies will fare bet­ter in Canada, because of the lower health and edu­ca­tion costs and more lib­eral social policies. What do you think? Are there other impor­tant fac­tors to con­sider in assess­ing cost and qual­ity of life? If you’ve moved between the U.S. and Canada, please leave a com­ment and share your experience.